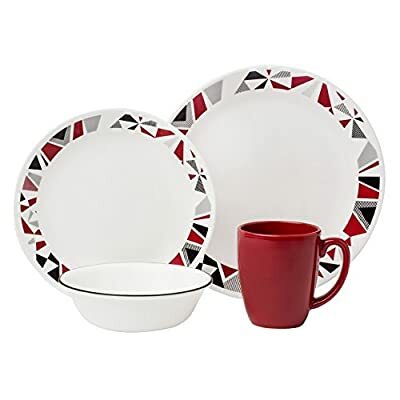 Corelle Livingware Urban Black 16-piece set, service for 4 includes 4-each-10-1/4-inch dinner plates, 4-each-6-3/4-inch bread and butter plates, 4-each-18-ounce soup/cereal bowls, 4-each-11-ounce stoneware mugs. The striking contrast of bold, black bands on white dinnerware and matching solid mugs offers a contemporary look that's simple, yet elegant and coordinates with a range of home décor styles.Corelle, brings beauty and durability to your table everyday. 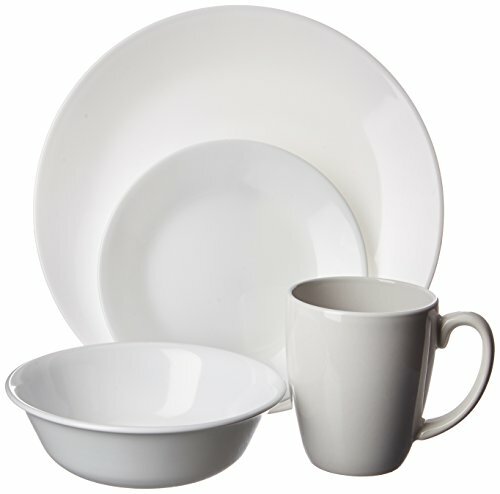 For more than three decades, Corelle products have epitomized the definition of durability and quality. 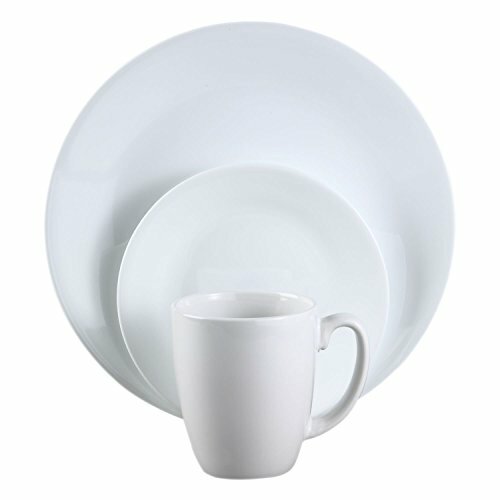 What makes Corelle Livingware and Corelle Ultra so durable and versatile is vitrelle brand glass, composed of a unique, technologically advanced material. In a one of a kind manufacturing facility in Corning, New York, Corelle thermally bonds three layers of glass together, forms the shapes and then tempers the glass to give its final strength. 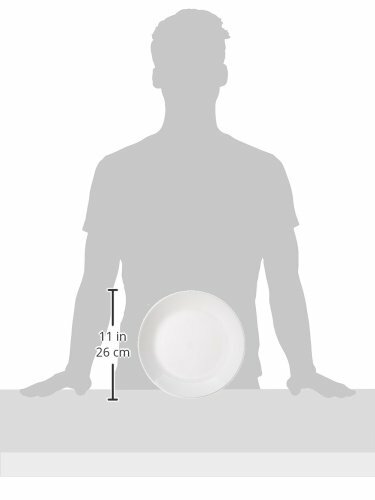 Because of this process, Corelle Livingware and Corelle Ultra dinnerware have the added versatility of being suitable for reheating or even cooking in conventional, convection or microwave ovens. And with their ergonomic, lightweight design, Livingware and Ultra plates and bowls stack easily, conserving valuable kitchen space. In addition to its exceptional durability and design, Corelle products offer an array of fashionable patterns and coordinates - perfect for all kitchen decorating styles. Corelle's beautiful patterns also withstand the test of time. 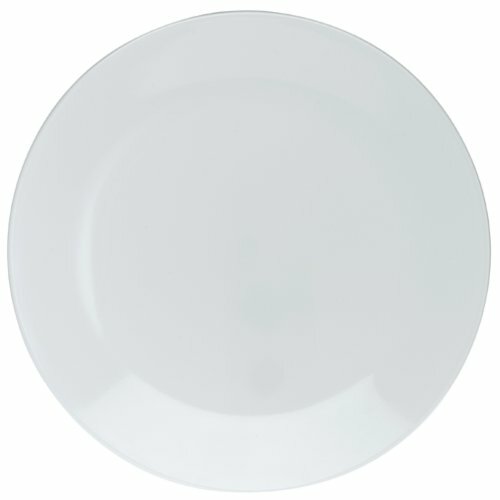 That's because Corelle use only food safe enamel pigments that are fired directly onto the dinnerware. You'll never need to worry about fading, scraping, scratching, or wearing off. Corelle… beautiful today¿.. Beautiful for years to come.